Boxing is often deemed as the hardest and most gruelling sport in the world, and there is always an emphasis on a boxers fitness. “Go the distance” “No pain no gain” are common phrases in boxing training, leads to a culture where endurance is the most important physical aspect. This is can be true, however Boxing is not like any other endurance event. Dependent on ability and length of bout, boxers can throw between 100’s or even 1000’s of punches in a single contest. Carl Froch threw a massive 1034 shots when he faced Mikkel Kessler for the 2nd time in 2013, 135 of these were deemed as ‘Power Punches’ (Compubox 2013). Therefore, it can be assumed that Boxing is a sport of repeated explosive actions. But how explosive are the current boxing population? In our previous Science Behind the Punch articles outlined the contributors to a forceful punch. We highlighted the largest contributor to punch force is hand speed. Hand speed is dependent on a number of factors including technique and rate of force development. Rate of force development (RFD) is simply how quick you can produce a large amount of force. This can be developed by getting quicker, but we need to be able to produce large amounts of force for high RFD. You can name many boxers with great hand speed. But how many can we name that are strong? Using our battery of fitness tests, we were able to compare physical characteristics of boxers to see the key contributors to boxing performance. Lower limb force production was assessed by countermovement and squat jumps. Results showed that jump height was related to age and body mass, but did not correlate to competitive experience. However, the importance of lower limb force production was highlighted following moderate correlations with estimated punch force (medicine ball backhand punch throw distance). This suggests that although not developed by competitive boxing experience, the importance of lower-limb force production was demonstrated by positive correlations between a jump height and MB backhand punch throw distance. Furthermore, estimated lower-limb force production was the second most influential physical characteristic for ‘pound for pound’ punching force. The first was lean mass of the trunk (for another time). So, how does boxing compare to other sports? The average countermovement jump height for an over 18 boxer is 39.9 cm, with the range being between 21.4-60 cm. This shows that boxing is quite far behind other sports when it comes to jumping and producing leg strength. On the Combat Conditioning program at Sheffield Hallam University, a group of boxers were tested before and after 10 week S&C training program. The aim of the strength program was to improve mobility and foundational strength using resistance training, Olympic lifting regressions and complex movement challenges. Results showed a 6% improvements in both countermovement and squat jump height in just 10 weeks. These results become more impressive when comparing it to body mass as both relative jump heights improved 9%. Ever heard “I was weak at that lower weight”? 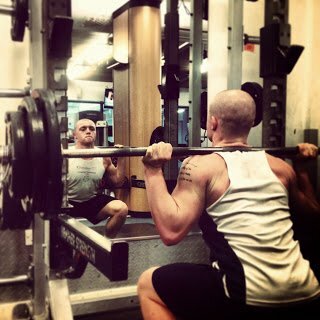 Well, as our boxers move down in weight, they get stronger. This improves their pound for pound (P4P) force production. What does this mean for punch force? On the same testing day, we assessed medicine ball punch throw to estimate punching force. Following 10 weeks of training, throw distance improved by 10%. Punch force increasing paired with a reduction in body mass means that there is an increase in estimated P4P punching force. Following 10 weeks training, P4P punching force improved by 13%. This suggests that although you are reducing body mass when ‘making weight’, strength and conditioning training gets you stronger, jumping higher and hitting harder! This is a new section we will be adding to our articles, providing practical exercises than can improve physical performance for boxing. 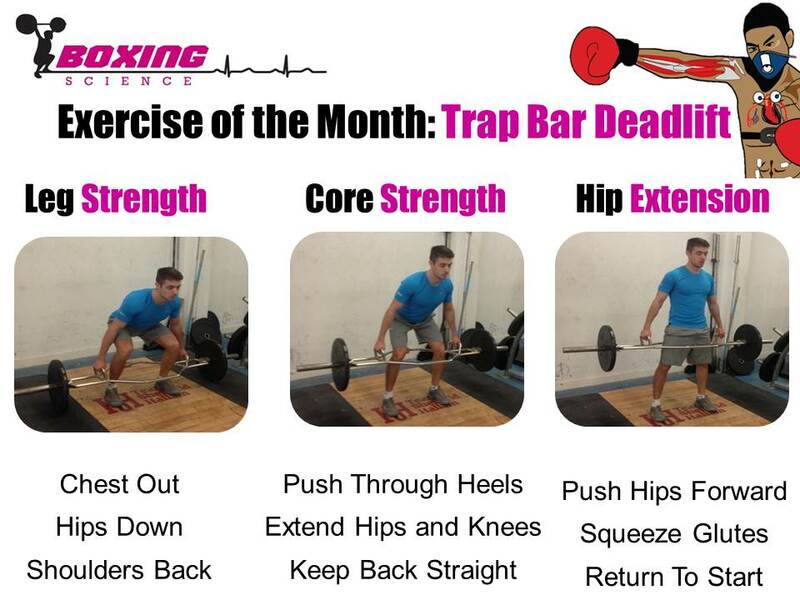 The first exercise we will introduce is the Trap Bar Deadlift. Here is an exercise card to show you how to do this exercise and the benefits.